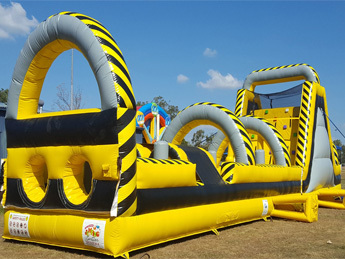 Our obstacle course and slide hire is super popular for all sorts of events including carnivals, fetes, family fun days, sports events, promotions, birthdays and so much more! Varying in size, there's something below for everyone no matter the event. 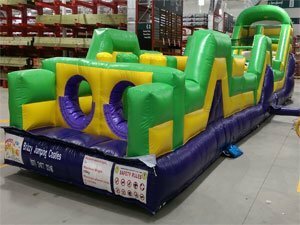 Age range is generally 3 and up including adults so everyone can have some fun! Bright, bold and best of all - fun! 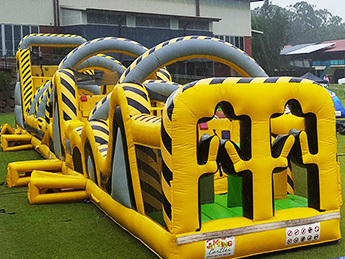 This 15 metre inflatable obstacle course will keep the crowds at bay. 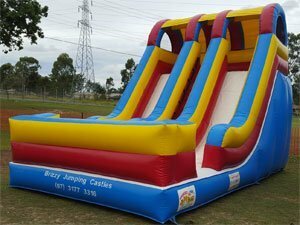 Perfect for all events! 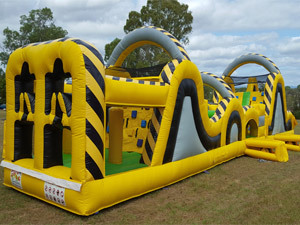 The second of our "Atomic" inflatable obstacle courses. 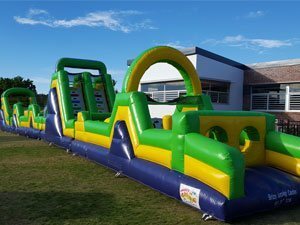 A 3 metre high slide to finish it all of after tyres, hanging poles, arches & more! Wooooaaaahhhh! 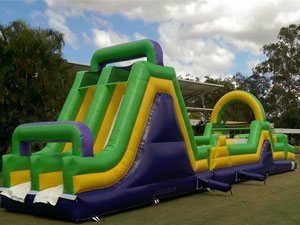 That's what you'll be screaming as you fly down this giant dual lane slide...if you're game! 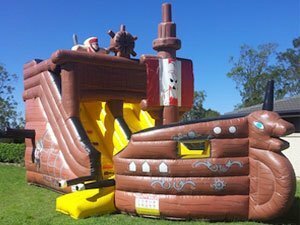 Sure there's other pirate ship jumping castles...but our is hands down the biggest, the brightest and the best!